Committed to the highest level of cardiac and vascular care, our Heart and Vascular Institute experts diagnose and treat all types of cardiovascular conditions, such as coronary artery disease, arrhythmia, valve disease, heart failure, carotid artery disease, and deep vein thrombosis. Our cardiac surgery program is among the top 10 percent in the nation for medical excellence, and our open heart surgery program has had the lowest mortality rate for isolated coronary artery bypass graft surgery in the region, with a more than 99 percent survival rate. We are also an internationally recognized leader in bloodless surgery and a leading center for vascular and endovascular treatment. A marine, renowned detective, and motivational speaker twice nominated for a Nobel Peace Prize, David Toma has spent his life helping others. 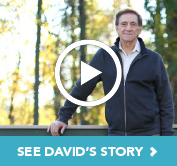 Diagnosed with aortic stenosis, Toma turned to Drs. Bart and Joseph De Gregorio to receive the kind of support he was used to providing. Learning he was a candidate for TAVR (transcatheter aortic valve replacement), Toma traveled an hour to Englewood Hospital and Medical Center for the procedure and personalized care. The Heart & Vascular Institute program includes cardiology, cardiac electrophysiology, interventional cardiology, cardiothoracic surgery, cardiac rehabilitation, and vascular surgery. We use advanced technologies and the latest surgical techniques, including minimally invasive procedures to treat complex conditions. Our specialists have the expertise to perform difficult procedures such as multivalve repair, aneurysm/aortic dissection repair, and endovascular thoracic aneurysm graft (TAG) repair. To effectively diagnose and treat peripheral vascular disease, our vascular and endovascular surgeons use cutting-edge surgical and nonsurgical techniques and innovative diagnostics to provide the most advanced care. We have expertise in carotid artery surgery for stroke prevention and minimally invasive radiology procedures such as beating heart surgery and balloon angioplasty, among others. In keeping with our commitment to getting you back to optimal health, we have rehabilitation services available to you to foster a safe and long-term recovery after a major cardiac episode or surgery. Englewood Health uses advanced diagnostic imaging and testing technologies to ensure that each patient with heart disease receives a definitive diagnosis that will guide the development of their personalized treatment plan. Our diagnostic services include noninvasive testing and cardiac catheterization. Cardiac catheterization is one of the most accurate and sophisticated diagnostic tools for examining the heart. 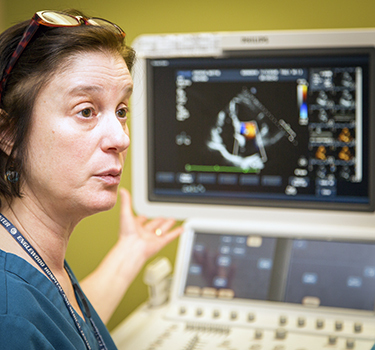 Patients who come to Englewood Health benefit from the most advanced computerized digital cardiac catheterization imaging technology in the region. Our Cardiac Catheterization Laboratory performs high-resolution angiography for rapid and accurate diagnosis in patients with cardiac arrhythmia, or coronary, valvular, and other heart disease. Here we use a 64-slice CT detection scanner, the first scanner fast enough to accurately reveal blockages in the coronary arteries. Cardiac calcium scoring uses a special X-ray test called computed tomography (CT) to check for the buildup of calcium in plaque on the walls of the arteries of the heart (coronary arteries). A CT scan takes pictures of the heart in thin sections. This test is used to check for heart disease in an early stage and to reveal if abnormal amounts of calcium are present in the arteries feeding the heart. It helps enable a physician to rule out significant coronary artery disease and identify those patients who can most benefit from treatment with cholesterol lowering medication. Nuclear cardiology, or a heart scan, is a diagnostic test designed to detect and evaluate heart disease. The test involves the injection of very small amounts of radioactive material, followed by a fast, painless scan of the heart and its surrounding blood vessels by a specialized camera, which allows doctors to identify portions of the heart and vessels with reduced blood flow. 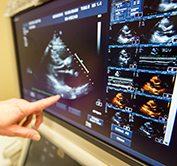 A heart scan is one of the fastest and most accurate ways to assess heart health and function. It is able to detect the effects of plaque build-up in the arteries, which can put patients at risk for a heart attack. The interventional cardiology program performs diagnostic and interventional procedures for the nonsurgical treatment of coronary artery and peripheral vascular disease. The Cardiac Catheterization Laboratory at Englewood Health is an advanced technology suite complete with a robotic catheter system, superior imaging capabilities, a dedicated recovery area, and a private room equipped with imaging for family discussions with the physician. The skills of our interventional cardiologists combined with the technology available in this facility ensure that our patients receive the highest level of care when undergoing a catheter-based procedure. Angioplasty: In this procedure, an intra-aortic balloon pump increases myocardial oxygen perfusion while at the same time increasing cardiac output. Atherectomy (rotational): This procedure involves inserting a small drill into the coronary arteries to grind up plaque and increase blood flow to the heart. Carotid artery stenting: A slender, metal-mesh tube, called a stent, is inserted and expanded inside the carotid artery to increase blood flow in areas blocked by plaque. Peripheral vascular intervention: This procedure removes plaque and restores blood flow through the arteries in blockages that occur in the legs or arms. Stent implantation: Permanent placement of a small wire mesh tube helps to prop open a clogged artery and decrease its chance of narrowing again. Valvuloplasty: A small narrow catheter with a large balloon at the tip is inserted into a stenotic, or stiff, heart valve and then inflated until the leaflets of the valve are opened; the balloon is then deflated and the catheter is removed. Englewood Health’s Institute for Patient Blood Management & Bloodless Medicine and Surgery is a widely renowned center for patients and institutions seeking expertise regarding the use of blood products during open-heart procedures. Patients travel from all parts of the world to be cared for by our team. We are committed to transfusion-free (bloodless) surgery, and nearly 80 percent of cardiac surgeries, including the most complex procedures, are performed without the use of blood transfusions. This makes surgery possible for patients for whom blood transfusion is not an option. The avoidance of blood transfusion during open-heart surgery has been shown to significantly reduce the incidence of serious and life-threatening postoperative complications. Transcatheter aortic valve replacement (TAVR) is a procedure for people with severe aortic stenosis — a stiffening of the aortic valve that affects blood flow to the rest of the body. TAVR is less invasive than open heart surgery and is especially beneficial for high-risk patients who are too sick or elderly for surgery. It can also be used for patients who are at intermediate risk for open heart surgery. If you or a loved one has aortic stenosis and are interested in our TAVR program, call our dedicated heart valve disease team at 888-271-6282 or email heart.valve@ehmchealth.org. 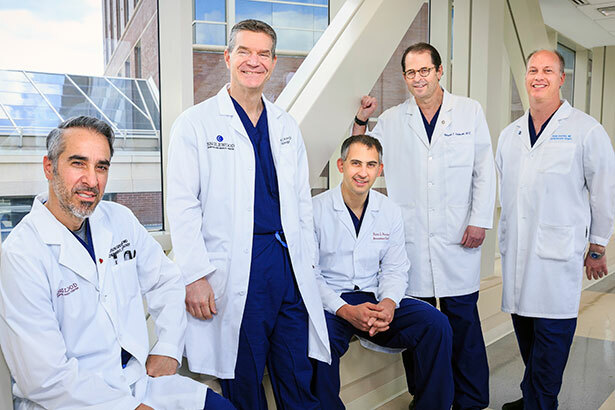 Members of the Englewood Hospital and Medical Center TAVR Team, from left to right: Joseph De Gregorio, MD, Lance Kovar, MD, Ramin Hastings, MD, Richard Goldweit, MD, Adam Arnofsky, MD. Englewood Hospital’s TAVR team has been performing this procedure since its approval by the FDA in 2011. We are one of the most experienced centers in New Jersey and perform more than 100 TAVRs per year. Our highly experienced interventional cardiologists and cardiothoracic surgeons work together as a team to perform TAVR procedures. Our state-of-the-art hybrid operating room is complete with advanced technology to function as both a cardiac catheterization suite and operating room. 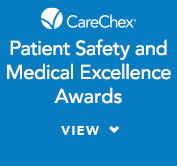 This provides the safest environment to treat TAVR patients. The most common treatment for severe aortic stenosis is surgical aortic valve replacement, a type of open-heart surgery. But many patients have other options and may now qualify for a less invasive valve replacement therapy. That’s where transcatheter aortic valve replacement, a minimally invasive approach, comes in. TAVR procedures are performed under sedation or general anesthesia and patients often go home the next day. This less invasive procedure is different from open heart surgery and does not require the use of the heart-lung bypass machine. During a TAVR procedure, a doctor places a balloon-expandable valve into the heart through a catheter. The new valve will push the leaflets of your diseased valve aside and will be secured in place. Small Incision: TAVR can be performed through multiple approaches, but the most common is through a needle stick in the groin. Our heart team will decide which approach is best for you, based on your anatomy and medical condition. If the approach cannot be through the femoral artery in the groin, it can be done through a small incision either between the ribs or through the chest. Catheter Insertion: A short tube called a sheath is inserted into the puncture site. A catheter (a long tube) is inserted into the arterial system through the sheath. Guided by X-ray and ultrasound imaging, the catheter is advanced to reach your aortic valve. Valve Insertion: Your new valve is compressed on a balloon to make it small enough to fit through the sheath. The new valve is advanced to your narrowed valve. New Valve Placement: The balloon carrying the valve is inflated with fluid to expand the new valve within your diseased valve. The new valve will push the leaflets of your disease valve aside. The frame of the new valve is very strong and it will use the leaflets of your diseased valve to secure it in place. Removal of Balloon and Sheath: The balloon is then deflated and removed. Your doctor will make sure that your new valve is working properly before removing the sheath and closing the incision. Our cardiac electrophysiologists diagnose and treat people who have an abnormal heart rhythm (arrhythmia) such as rapid heartbeats, “skipped beats,” or “fluttering” in their chest. We use the latest diagnostic methods and technology, including noninvasive tests and computer mapping systems, to identify the type of arrhythmia, evaluate the severity, and pinpoint your triggers so the best care plan can be determined. We offer a variety of advanced treatment options, including robotic catherization and surgery, cryoblation, implantable devices, among others. Most cases are not considered serious, but for some people, arrhythmias can be dangerous and require medical attention. Severe symptoms such as dizziness, chest pain, passing out, or shortness of breath should be discussed with a doctor. Electrocardiogram: This noninvasive test is a 12 second snapshot of the electrical activity of your heart. Electrode stickers are placed on your chest and connected by wires to a recording machine, which produces a pattern your doctor can analyze to check for heart rhythm changes. Holter monitor: To get a 24-hour snapshot of your heart rhythm, you may be asked to wear a small recording box on your chest, which is attached using adhesive electrode patches, while you go about your daily activities. Cardiac event monitor: If your arrhythmia is infrequent, you may be asked to carry a small cardiac event monitor for a few days to weeks. When you feel symptoms, you simply hold the recorder against your chest and press a button; the device then records up to 70 seconds of ECG readings. Tilt table testing: This noninvasive test may be used if you experience fainting spells to observe how your body responds to a change in position. During the test, you lie on a table that is tilted upright while your symptoms, blood pressure, and ECG are continuously monitored. Electrophysiology study: This minimally invasive procedure is used to map the heart’s electrical system using electrode catheters to identify where the arrhythmia is located. These thin, flexible tubes are placed in a vein or artery in your leg and moved into the heart to record electrical activity. Lifestyle changes: Making changes to your lifestyle, such as limiting alcohol, avoiding certain types of medications, using stress management techniques, and quitting or reducing caffeine intake, may help with non-sustained arrhythmias. Medications: Particular drugs, like antiarrhythmic drugs, calcium channel blockers, beta-blockers, and blood-thinning drugs like aspirin or warfarin, may help control abnormal heart rhythms. Medications should be carefully monitored to prevent side effects. Other tests may be necessary to determine if treatment is working. Catheter-based procedures: These procedures use long flexible wires to enter the heart to stop the arrhythmia at its source and, in many cases, will cure the arrhythmia. This includes catheter ablation in which radiofrequency heat or freezing therapy (cryotherapy) is used to cauterize the abnormal electrical pathways causing the arrhythmia. Robotic catheterization and surgery: Englewood Hospital and Medical Center was the first facility in New Jersey to offer the Sensei® Robotic Catheter System – the latest in robotic treatment of arrhythmia. This highly specialized technique is used for catheter-based mapping within the chambers of the heart. The Sensei System allows for more precise and stable catheter manipulation during complex cardiac procedures. Cryoablation: We are one of the few centers in the tri-state area to use cryoablation for the treatment of certain arrhythmias. The procedure restores normal electrical conduction by freezing tissue or heart pathways that interfere with the normal distribution of the heart’s electrical impulses. Cardioversion: If your heart beats too quickly, your doctor may apply an electrical shock to the chest wall to restore the heart to its normal rhythm. This low-risk procedure is commonly used for atrial flutter and persistent atrial fibrillation. Pacemaker device: An implanatable device, pacemakers are used to treat a slow heart rate. Electrical impulses travel from the device to the heart to maintain the proper heart rate. Implantable cardioverter defibrillator (ICD): These devices are used to correct serious ventricular arrhythmias that can lead to sudden death. Once implanted, the ICD monitors the heart’s rhythm and can immediately disrupt a deadly arrhythmia by delivering an electrical shock. LifeVest: This external, temporary body appliance is used to detect and counter potentially life-threatening irregularities in a heart rhythm. Atrial fibrillation/pulmonary vein ablation procedure: If you experience persistent atrial fibrillation or frequent episodes of paroxysmal, ablative therapy using radiofrequency energy may be an option to prevent further episodes. Once you have an implantable device, such as a pacemaker or ICD, you may need follow-up care to make sure your device is working properly. Follow-up appointments at the Arrhythmia Center will be needed to check either your pacemaker’s or ICD’s function and battery life. After two weeks: A special wand will be waved over the pacemaker or ICD, which will transmit information to tell your doctor how the device is working. At three months: The function of your pacemaker or ICD will be reevaluated and may need to be reprogrammed to ensure it continues to work for you in the best way possible. Subsequent follow-ups: Your pacemaker will have to be checked every six to 12 months to check the functionality and battery life. After 3 to 4 years, your pacemaker may need to be more frequently monitored as it ages, which will be dependent on whether your device is a single-chamber or dual-chamber model. If you have an ICD, you’ll need to be checked every three to four months. Every healthcare professional you visit should be informed that you have a pacemaker or ICD in order to restrict the use of appliances or treatments that may interfere with your device. Identification cards: You will receive a temporary ID card when you leave the hospital identifying you as a patient with a pacemaker or ICD. A permanent card will be sent later by the manufacturer. You should carry this card with you at all times as it contains important information in case of an emergency. This card should also be shown to security personnel at the airport and in stores in case your device sets off the anti-theft system. Our cardiac electrophysicists are helping to spread the news on the latest technologies and procedures that are improving life for patients with abnormal heart rhythms. Chief of Cardiac Electrophysiology Grant Simons, MD, discusses a groundbreaking new device called the Watchman, which is used to treat patients living with atrial fibrillation on One on One with Steve Adubato. Dr. Simons discusses the Lariat procedure, a minimally invasive alternative for AF patients who are unable to take blood thinning medications with WCBS-TV Channel 2 News. Cardiac electrophysiologist Dmitry Nemirovsky, MD, shares with Fox News how a new antibiotic pacemaker envelope helps prevent deadly infections after common pacemaker procedures. Englewood Hospital’s Arrhythmia Center employ innovative and comprehensive techniques and technology to safely and effectively diagnose, treat, and cure abnormal heartbeats, including using robotics to perform catheter-based procedures. Doctors at Englewood Hospital and Medical Center save a patient’s life using the LifeVest, a vest-like device that acts as an external defibrillator. Patients with cardiac symptoms who arrive at our Emergency Care Center are evaluated and treated quickly. An interventional cardiologist is available 24/7 to meet patients upon arrival, often maintaining contact with EMS providers while patients are in transport. Our STEMI (ST segment elevated myocardial infarction) alert protocol has resulted in “door to balloon” times – the time from patient arrival to the start of a cardiac interventional procedure – of 66 minutes in 2014, compared to the national goal of 90 minutes. We also provide advanced care in cerebrovascular disease, treating patients who have had stroke or transient ischemic attack (TIA) caused by carotid disease who may be at risk for stroke. The medical center is recognized as a Primary Stroke Center by The Joint Commission and the New Jersey Department of Health and Senior Services. Englewood Health’s Cardiovascular Intensive Care Unit is staffed with highly trained nurses and healthcare practitioners. The team works hand-in-hand with our cardiothoracic surgeons and cardiologists to provide safe, high-quality, and compassionate care to maximize recovery for patients from serious cardiac conditions and cardiac surgery. We also care for patients who do no need intensive care, but still require close observation and telemetry monitoring. Englewood Health’s medically supervised cardiac rehabilitation program assists patients recovering from various cardiac conditions. Patients recovering from heart surgery, a heart attack, angioplasty/stent, heart transplant, or suffers from stabile angina, are led them through a program of exercise and education that allows them to return to the most active and healthy life possible. Working with the treatment plan provided by the patient’s cardiologist, our professional staff of cardiac nurses and exercise physiologists develop an individualized rehabilitation program. While exercise is the cornerstone of cardiac rehabilitation, patients also receive education on stress management and nutrition. This education includes access to a dietitian who can help program participants plan heart-healthy meals. A diabetes educator also is available to provide vital information about diet and insulin schedules for patients managing diabetes. Learn more about our cardiac rehabilitation services. Englewood Hospital has established itself as one of the world’s leading centers for vascular and endovascular treatment through leading edge surgical and non-surgical techniques, state-of-the-art diagnostics, and an ongoing commitment to patient care, research, and training. The Departments of Vascular Surgery and Cardiothoracic Surgery at Englewood Hospital work in partnership to perform groundbreaking, less invasive thoracic endografting to an ever-increasing variety of patients with diseases of the thoracic aorta. This has resulted in substantially improved outcomes over traditional approaches to aortic disease. This collaboration has made Englewood Hospital one of the largest implanters of thoracic endografts in New Jersey. We specialize in complex open surgery as well as minimally invasive surgery for aortic aneurysm, carotid disease, peripheral vascular disease, dialysis access, and complex venous thrombosis. For more information, please see the Vascular Surgery page. To continually meet the community’s needs, we offer support services and educational opportunities with a focus on managing conditions before they become chronic and promoting overall health and well-being. The Visiting Hearts program offers a way for prospective patients to meet with former patients who have undergone a similar cardiac surgery. The program’s volunteers meet with patients during pre-admission testing and recovery. This gives patients an opportunity to address any concerns or questions they may have about what to expect after the procedure and throughout the rehabilitation process. The Visiting Hearts program helps alleviate a patient’s concerns through the support of someone who can relate directly to his or her condition and emotions. The program sets itself apart from many other similar programs by offering this compassionate support on an individual level. The program is open to all former and present patients who had cardiac surgery at Englewood Hospital and Medical Center. A Visiting Hearts volunteer addresses the concerns of not only the patient but also those of their family and friends as well. Volunteers help the patient’s family better understand what their loved one is going through and what they can do to make the patient comfortable and help them through the healing process. Our highly experienced cardiothoracic surgery team provides the highest level of quality and safety. We also do our best to make your cardiac surgical experience as stress-free as possible from the time you enter our medical center and throughout your recovery. We understand that you and your family members will have many questions about your cardiac surgery. And we understand how important it is that you get the right answers. Many times, however, the right answers are not enough. Sometimes you need to discuss your concerns with someone who has been through the same experience. Sometimes it really helps to see and hear our true success stories. We hope having our former patients share their experience with you will ease the anxiety you and your family may be experiencing. If you have an upcoming cardiac surgery at Englewood Hospital and Medical Center and would like to speak with a Visiting Hearts volunteer or if you are interested in becoming a Visiting Hearts volunteer, please call 201-894-3636. 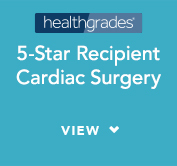 Our cardiology and cardiac surgery programs have been regularly cited for excellence by prominent organizations including Healthgrades, the New Jersey Department of Health and Senior Services, Centers for Medicare & Medicaid Services, and Comparion Analytics/CareChex, among others. Our vascular lab is accredited by the Intersocietal Commission for the Accreditation of Vascular Laboratories. Our EMS team recently received the 2016 American Heart Association’s Mission: Lifeline Gold Level Recognition Award for improving treatment and outcomes for STEMI patients. Englewood Health is focused on clinical trials and research targeting effective treatments, risk of recurrence, and survival outcomes for people with cardiovascular conditions. For additional information on active clinical trials at Englewood Hospital, visit the Clinical Research Center page.